Queensland Symphony staff churn prompts claims of a 'toxic' work culture | Daily Review: Film, stage and music reviews, interviews and more. Twenty-seven full-time and part-time staff have left Queensland Symphony Orchestra in just 21 months, an unusually high turnover rate for the company which currently lists 26 people on its staff. Many of its staff employed over the last 18 months have not stayed more than six months. Orchestra insiders claim that morale at the QSO is “toxic” and an external consultant has been contracted to improve morale and company cohesiveness. Former staff describe scenes of “backstabbing, gossip and shouting matches” among administrative staff and management leading to the staff turnover. Despite repeated attempts to contact QSO for comment its management declined to discuss these issues with Daily Review. But the orchestra’s own reports reveal the number of management and administrative staff members who have left the company since January 2016. Comparing numbers listed in its 2016 annual report to what it now lists on its website, 27 full-time and part-time staff have left the organisation since then. The staff churn has seen the QSO three heads of department leave including the director of development and the acting director of marketing. Almost all the staff members in the philanthropy, development and marketing departments have resigned. The orchestra’s CEO, David Pratt, and its music director, Alondra de la Parra (pictured above), both joined the company in the second half of 2016. The staff drain during their tenure also saw the sudden departure of Richard Wenn in the critical role of director of artistic planning in May this year after eight years in the role. An interim appointment is still in place, having been made from the existing staff pool . De la Parra, the QSO’s star Mexican conductor and music director is contracted to only spend 14 weeks a year in Brisbane. This is not unusual in hiring “name” conductors in symphony orchestras who are expected to continue to conducting internationally during the year. However, the role of artistic planner is crucial to staff (which includes 88 musicians) as that role is a conduit to the music director and an interpreter of her vision when she is absent. But one former staff member told Daily Review that the “revolving door” at QSO was because of “extremely ineffectual leadership” of both Pratt and De la Parra when she is in the country. 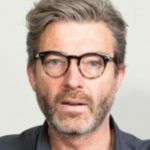 While the Australian-born Pratt is an experienced arts and orchestra manager, he has spent the last 18 years in senior roles in the US where fundraising is the major focus in arts company leadership. De la Parra, meanwhile, is new to Australia and insiders describe her “strong personality” as leading to workplace conflict. Observers say that Pratt and De La Parra, unused to the collegiate pace of the Australian environment, have placed increased demands on the staff and Pratt has backed his music director in staff conflicts. One former staff member who Daily Review spoke to described the pair as not in synch with the “Australian way” of working. I can say with absolute truth that within a section of the orchestra there is a toxic culture. There have been reports of harassment, manipulation, power playing, protectionism, egoism and just general bad behaviour which effects a huge radius of people around the orchestra. It is terribly disappointing and even embarrassing that this is taking place and continues to take place. It is like QSO is a black hole, not an enriching part of the community in any way. A huge shame. Translation: they expected the staff to do some work. It seems to me that one way to get to the bottom of this “issue” is for every one, (or at least 75%) of the 27 employees who left the QSO to be interviewed as to the reasons for their leaving. That is not possible Adrian, as non-disparagement clauses in their settlements prevent them from talking, hence the anonymity of those quoted in the story. I am horrified that this still goes on. I have worked for a company similar to this with massive turnover (which they would lie about on Seek) and a toxic CEO. I know a staff member at this company who left due because she could not tolerate the abusive & bullying nature of her direct boss (who should be sacked for her behaviour). This is NEVER ACCEPTABLE to have to tolerate in a workplace and i hope you take some sort of action on it. You are losing great people because of poor leaders. To those who doubt this story, talk to someone who has worked their and been subject to it and see the impacts it has!!! Once more question to ask. The math is wrong. David Pratt there since Late 2016 so what 14 months at max?. So he started sacking people 7 months before he started working there. I worked for over 7 years in the QSO as a casual musician and experienced bullying and manipulation from my section principal, with no support from management. If only I was given the support from the organisation to be treated with as much respect or with the rights that the full-time employees have. Casual or not, no one deserves to be belittled and experience trauma as I have. Being passive to toxic behaviour is sometimes as bad as doing the behaviour yourself ! The information for this article has been gathered from interviews with “orchestra insiders” , “former staff”, “observers” and it quotes “one former staff member”. Where is the rigour? As a staff member who left the organisation this year (and not the one that was quoted), I can attest to most of the things that were said here. The new MD certainly does have a “strong personality”, and she changes her mind on things such as rehearsals, marketing and performances all of the time. The new management back her to the ends of the earth, instead of backing long-term dedicated staff. It’s no wonder so manybhbe left and continue to do so. Thank you for highlighting the insidious bullying that has flourished under the current leadership team at QSO to which the Chairman and Board consistently turn a blind eye. Too many passionate and dedicated people have been forced out of an organisation they love, working hard to support the amazing orchestra they believe in, because they couldn’t or wouldn’t contribute to the toxic environment. Shame, shame, shame QSO Board and CE. Shame on you Tracey for believing a story that is written from anonymous insiders who are disgruntled with no rigour to the journalism and blaming present staff for departures before their tenure. Do you think people can be sacked so easily these days without real reasons??? Check their behavior??? Cancer cannot be removed without surgery!!! What a Headline grab. It is a pity the entire article is so one sided. I take it from the constant use of “One former staff member Daily Review spoke to” in your article, that a single Ex Staff member has had a whinge, and you as the great Journalist you are has decided to not validate any of it. It’s articles like this that make the community loose faith in the Media. Keep it up and soon no one in media industry will have a job. Sometimes people like you push the “Free Speech” statement just a little too far. “Orchestra insiders” “Former staff”. 27 staff left in a year. The last fact alone speaks volumes. One wonders, Matthew no-last-name, what is your conection to QSO? Perhaps, just a passionate believer in Managerialism? Business is run by Managers. That’s the way society works. Many times the oppressor claims that they were oppressed when they get pushed from their comfort zones. I see it all the time. So what you need to look for is the signs. So look at things like “only spend 14 weeks a year in Brisbane”, “last 18 years in senior roles in the US” and “is new to Australia ” Did Pauline write this? “Observers say that Pratt and De La Parra, unused to the collegiate pace of the Australian environment, have placed increased demands on the staff and Pratt has backed his music director in staff conflicts”. Since when is the Australia pace equivalent to t a College. My work environment is nothing like Uni. And our GM always backs Senior Management. When Juniors refuse to do what they are asked. That’s not being out of sync with the Australian way. That is the Australia way. After going through a similar issue within my own business I found that those who were the “Old Boys club” were the ones claiming Harassment when they were kicked. And yes ,in the process they made everyone feel like there was turmoil in the business, as they did not want to move with the times, and they wanted to stay in charge. The more they were pushed to change the more they caused headaches. Until finally they were kicked. Then articles like this were sent to all our clients. Sounds to me like the old boys are out and the Business is in charge. And my connection. Am I a donor to the Orchestra-Yes (Are you). Do I work there-No. Do I know people who do work there-Yes. If there was anything illegal I presume that Fair Work would be involved and I am sure that would be posted all over this review. And it isn’t. The Journalism here is my main compliant. The inability to point out the bleeding obvious. No Matthew – Every word is true. The is just a skeleton of the facts. The truth will come out. Alondra de la Parra and her Doberman David Pratt have created an environment that needs to be seen to believed. But there is a LOT more that is to come to the surface. I hope you will then withdraw your Shame Shame Shame statement. This article has now given us the courage we need to come forward with the proof that you need to believe it. So Queensland is still in the 1950s boys club??? Change requires hard decisions and strength for good. So easy to malign good people!! !